Tim’s investment focus is Information Technology Software companies. Additionally, Tim has helped execute on Sierra’s India strategy and investments. 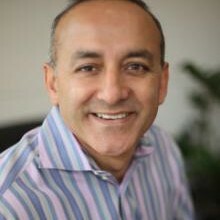 As a venture capitalist, Tim’s taken two companies public; Sourcefire in 2007 (Nasdaq: FIRE) which was recently acquired by Cisco for $2.7B and MakeMyTrip.com (Nasdaq: MMYT). Additional exits have been Greenplum (EMC Corporation), Net6 (Citrix Systems) AirMedia (AOL), Makara (RedHat), Red Aril (Hearst) and Runa (Staples). Tim currently serves on the BOD of Appcelerator, TreasureData, AlpineData, BINA, Nexenta, Hired and DNN.